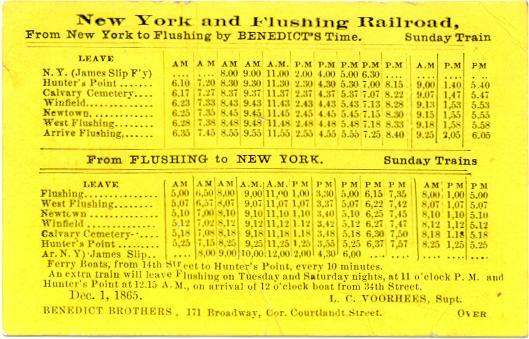 TO BUILD FROM FLUSHING TO THE EAST RIVER IN KINGS COUNTY. 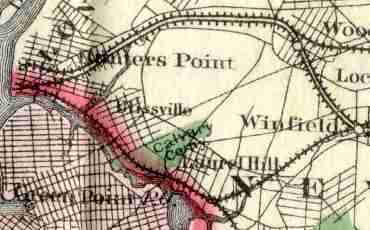 POINT, THEY DECIDED TO BUILD TO HUNTERS POINT IN QUEENS COUNTY. 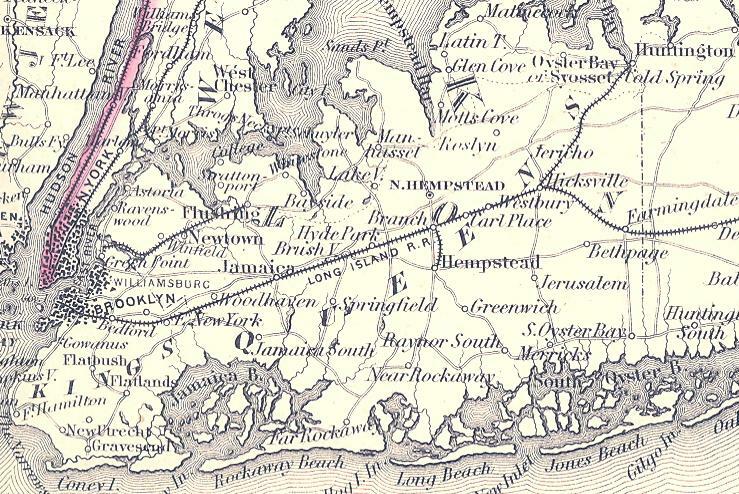 THIS COLTON MAP PUBLISHED IN 1855 SHOWS THE FLUSHING RAIL ROAD. 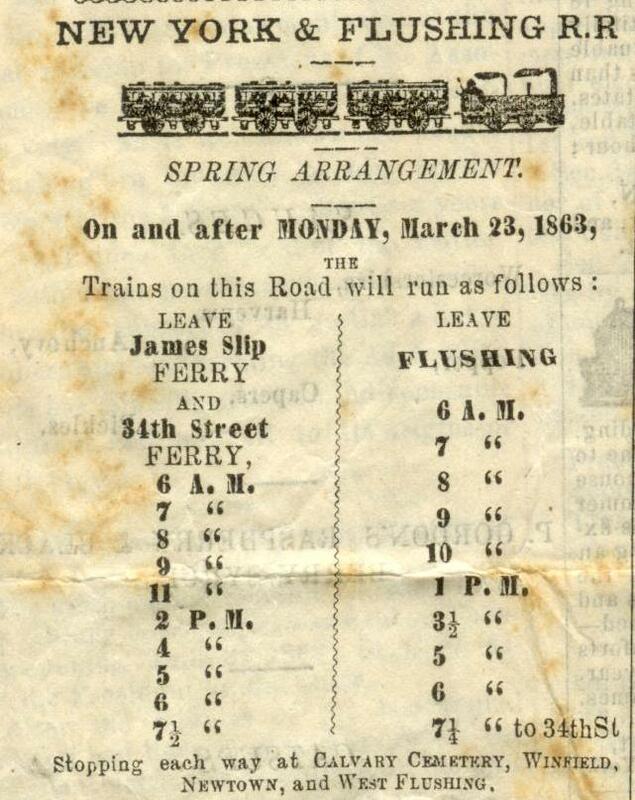 THE FLUSHING RAIL ROAD OPENED JUNE 26, 1854 AND HAD A STATION AT PENNY BRIDGE TO SERVE CALVARY CEMETERY. 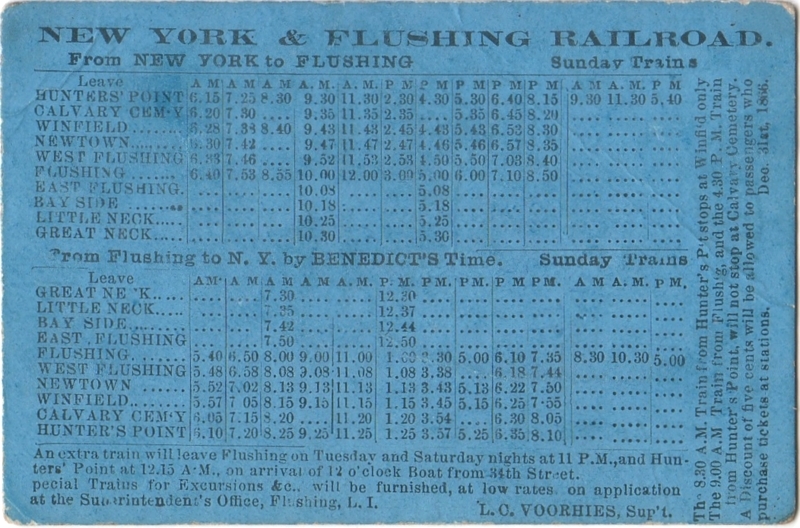 CONNECTIONS WERE MADE WITH THE CALVARY OMNIBUS LINE WHICH SERVED BROOKLYN VIA THE PENNY BRIDGE. 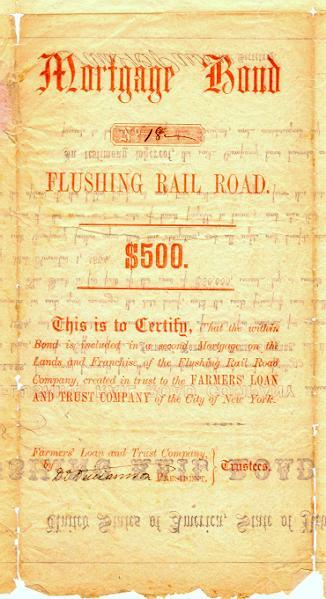 THE F.R.R. 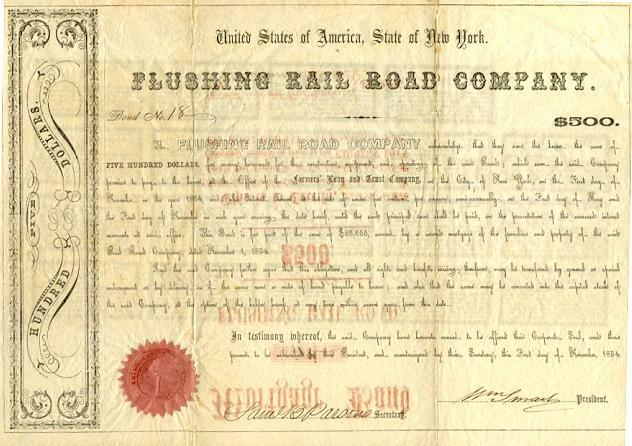 WAS SOLD IN BANKRUPTCY AND REORGANIZED MARCH 22, 1859 AS THE NEW YORK AND FLUSHING RAILROAD. 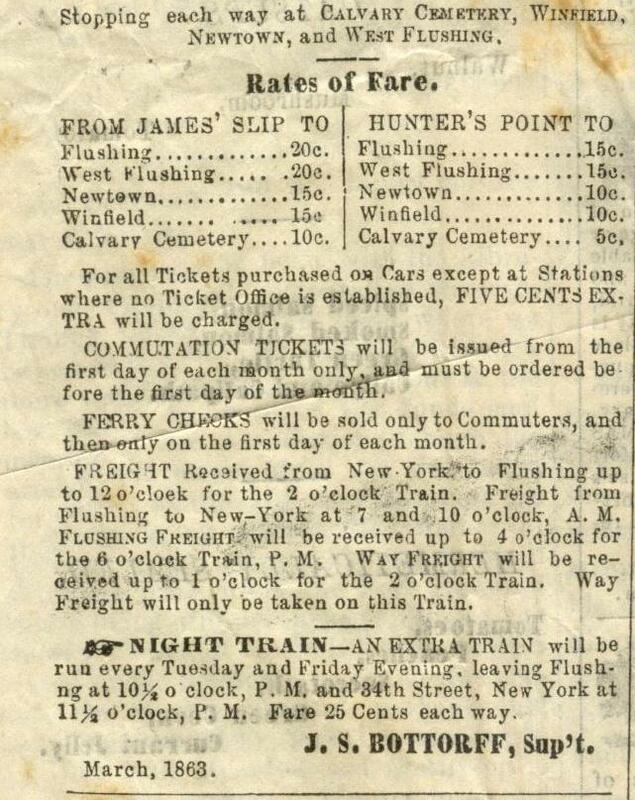 ON JULY 13, 1867 THE LINE WAS PURCHASED BY THE LONG ISLAND RAIL ROAD WHICH SOLD IT TO THE NEW FLUSHING AND NORTH SIDE RAILROAD ON AUGUST 11, 1868. 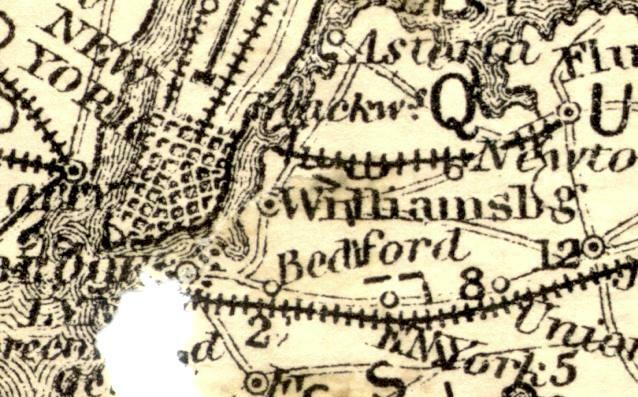 THE F.& N.S. 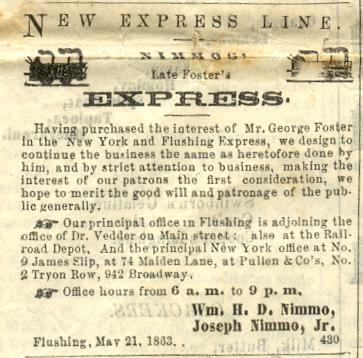 OPERATED THE N.Y.& F. UNTIL THEIR LINE WAS COMPLETED FROM LONG ISLAND CITY TO WINFIELD ON OCTOBER 8, 1869. 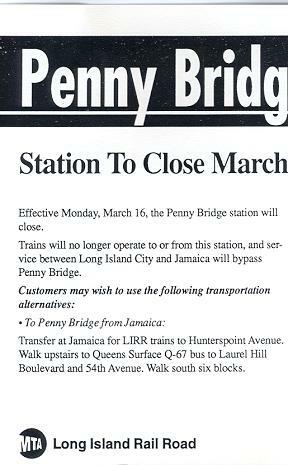 THEY THEN ABANDONED SERVICE BETWEEN WINFIELD AND LONG ISLAND CITY VIA PENNY BRIDGE AND SOLD THAT PORTION OF RAILROAD TO THE SOUTH SIDE RAILROAD OF LONG ISLAND GIVING THAT LINE A TERMINAL IN LONG ISLAND CITY. 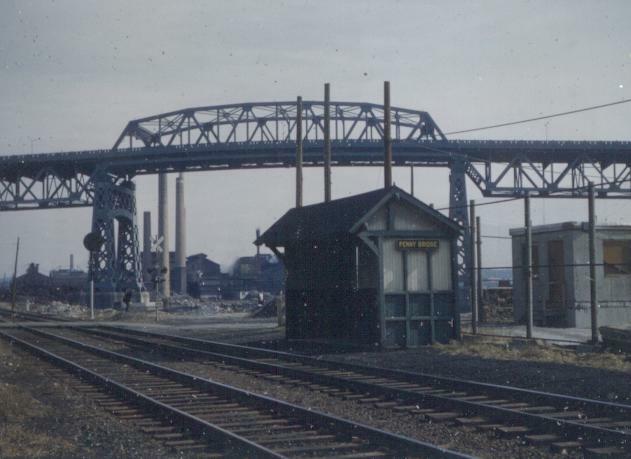 THE PORTIONS OF THE FLUSHING RAILROAD REMAINING TODAY ARE THE PORT WASHINGTON BRANCH BETWEEN WINFIELD AND FLUSHING MAIN STREET AND THE MONTAUK BRANCH FROM LONG ISLAND CITY TO LAUREL HILL. THE L.I.R.R. 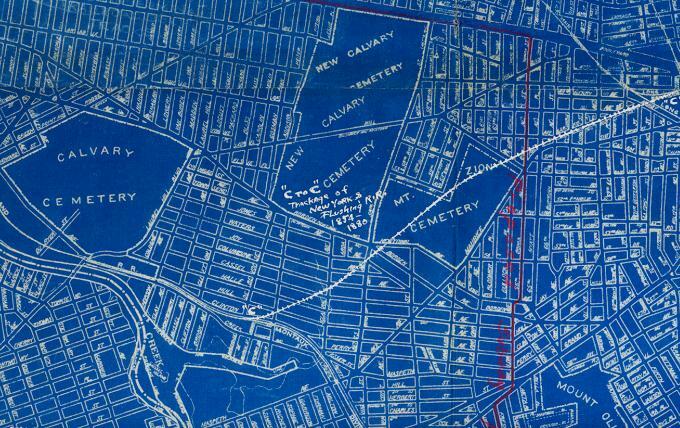 'S 1924 CORPORATE HISTORY BLUEPRINT SHOWS THE FLUSHING RAIL ROAD - NEW YORK AND FLUSHING RAIL ROAD - RUNNING BETWEEN "C" (LAUREL HILL) AND "C" (WINFIELD). 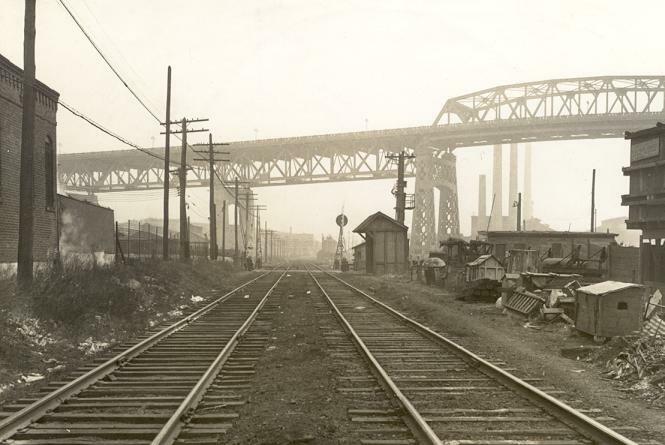 THE PENNY BRIDGE IS SHOWN CROSSING NEWTOWN CREEK AT THE SOUTHERN EDGE OF CALVARY CEMETERY. 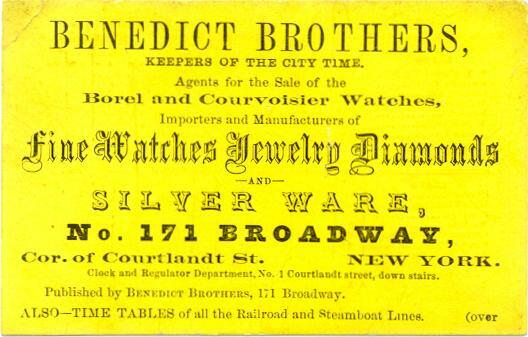 Hello - through your lovely website, I was able to identify this 1860's stereoview photograph. 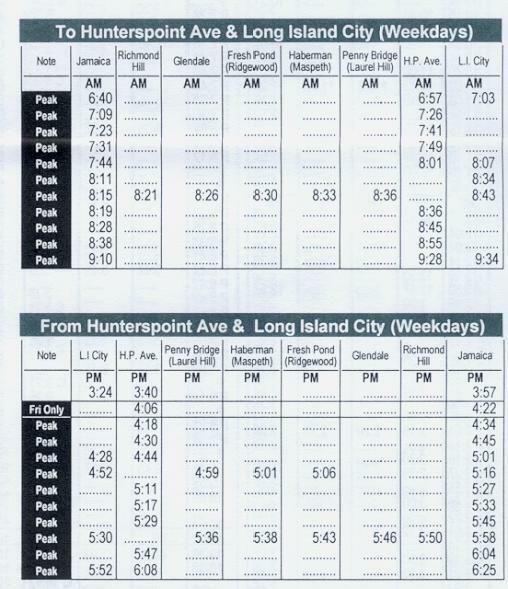 I thought I would send you a copy for your website since you have later ones. 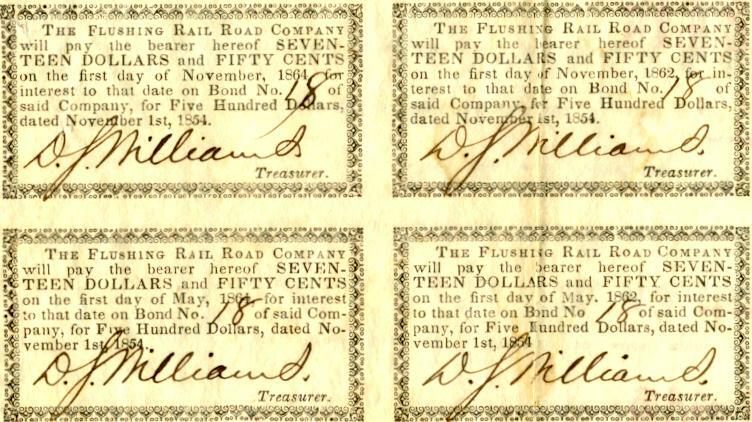 I am fairly experienced with these images and I place the image sometime in the 1860's. APPEARS FURTHER AWAY AND SEEMS TO BE MOVING. 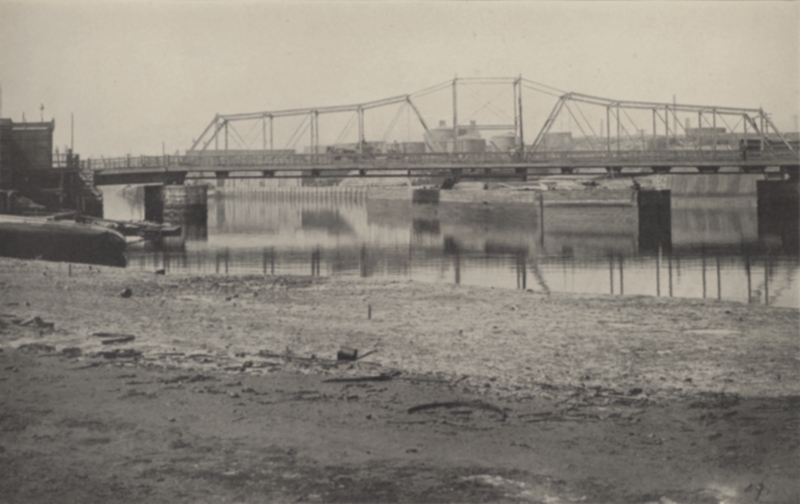 "MEEKER AVENUE BRIDGE" WHICH WAS REBUILT IN 1890. 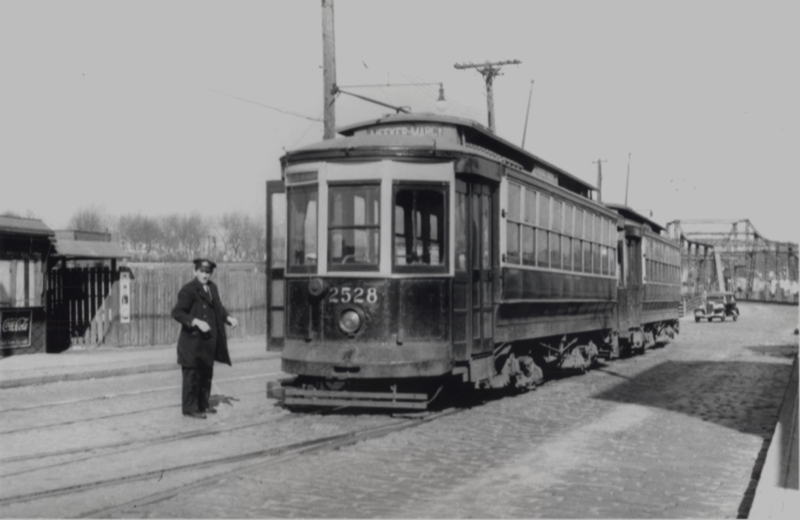 SHOWS THE PENNY BRIDGE AND THE MEEKER AVENUE - MARCY AVENUE TROLLEY. 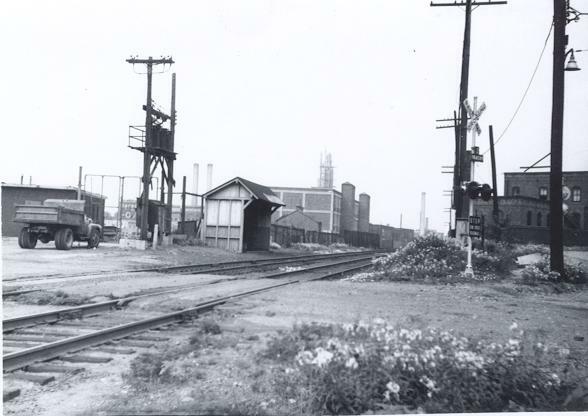 A 1932 PHOTO OF PENNY BRIDGE AND THE STATION. 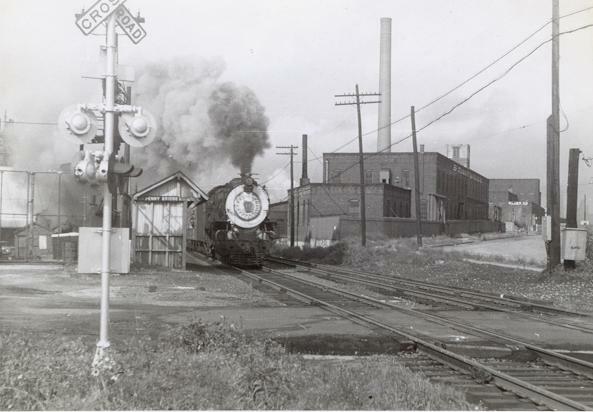 THE L. I. R. R. CALLED THE STREET AND CROSSING "LAUREL HILL BLVD"
WILLIAM J. RUGEN 1962 PHOTO. 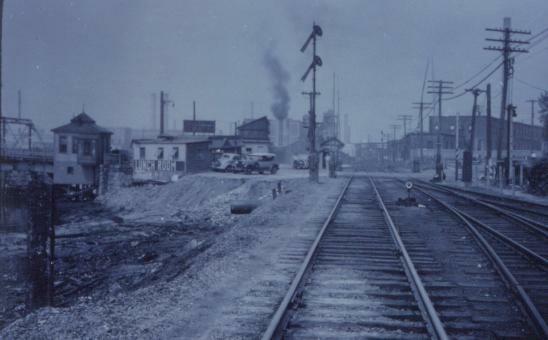 LOOKING SOUTH CIRCA 1940 - L.I.R.R. PHOTO. 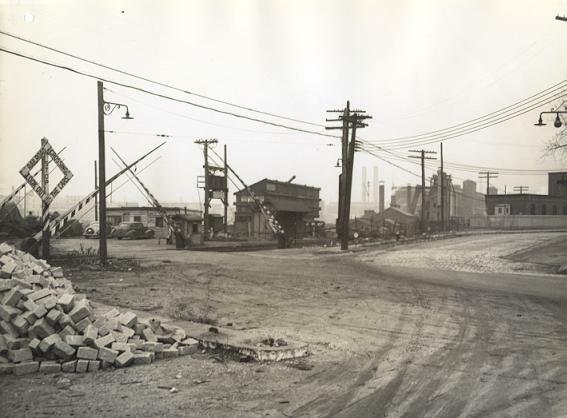 LOOKING NORTHWEST CIRCA 1940 - LAUREL HILL BLVD. CROSSING. - L.I.R.R. PHOTO. 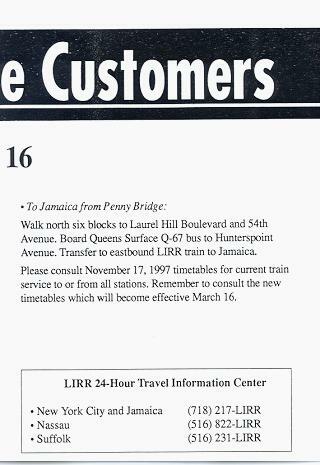 OCTOBER 16, 1955 THE FINAL RUN OF L.I.R.R. STEAM.